Bisbee is a picturesque small town located about 90 miles from Tucson, Arizona, on the slopes of the Mule Mountains. The town was founded in 1880 as the result of the rapid growth of the Copper Queen Mine, one of the world’s largest copper mines. 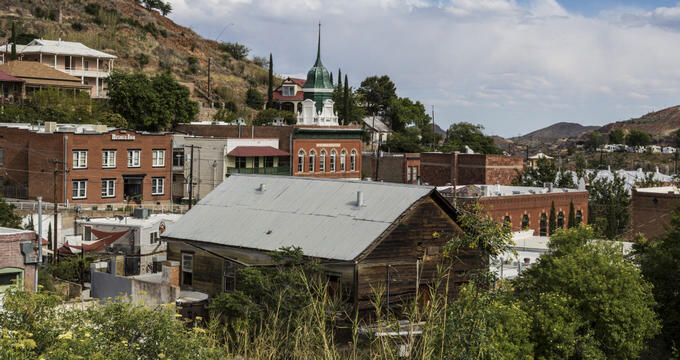 After the mine was closed in 1975, the original miners’ Bisbee became Old Bisbee, a popular tourist destination full of quaint old buildings that now host cafés, shops, restaurants, and art galleries. The Copper Queen Mine is one of the most popular tourist attractions in the charming town of Bisbee, Arizona. At the turn of 20th century, it was the most productive copper mine in all of Cochise County. Its rapid development quickly brought thousands of miners and in 1880s led to the growth of the nearby town of Bisbee. Although copper mining declined in the 1930s, the Copper Queen continued to be exploited from its open pit after World War II. 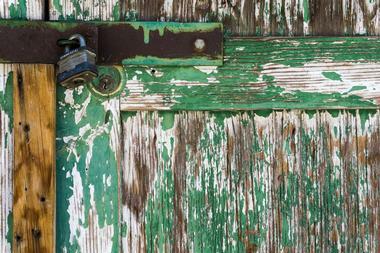 It was finally closed in 1985. Today, groups of tourists can take a tour of the famous mine, going deep into the belly of the mountain to try to experience the efforts and hardships old miners endured to get the copper out. The Bisbee Mining and Historical Museum is a small local museum that tells the story of the once thriving mining town of Bisbee through fascinating exhibits of artifacts, photographs, tools, and everyday objects. 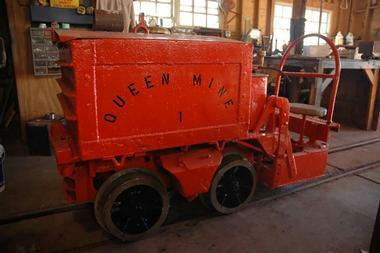 The museum is located in the former headquarters of the Copper Queen Consolidated Mining Company in downtown Bisbee. The museum is an affiliate of the renowned Smithsonian Institution. The museum’s permanent exhibit, known as “Bisbee: Urban Outpost on the Frontier,” describes the first 40 years of Bisbee, a city built by copper. The exhibit portraits copper mining as it was experienced in Bisbee. The museum, with the help of the Smithsonian, often organizes temporary exhibits combining art and history. 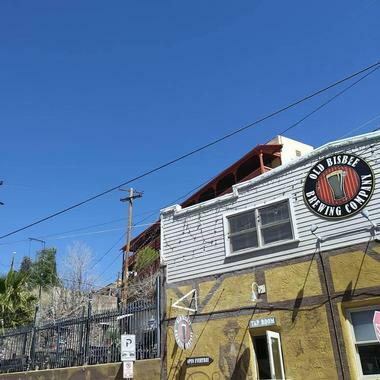 Old Bisbee Brewing Company is a small, modern microbrewery located in the historic Brewery Gulch, just off Brewery Avenue, in the heart of the historic town of Bisbee. The brewery is famous for its commitment to high quality and a range of beer styles produced using local ingredients such as native hops, Sonoran limes, and Sonoran wheat. The result is unique beer that is best tasted fresh in their own tap room. The place is a popular local gathering spot, where beer aficionados can enjoy their brew while watching the magnificent mountains and munch on some excellent pub grub such as vegetarian chili or gourmet bratwurst. They also make their own root beer. The Lavender Pit was part of the massive Copper Queen Mine, which was run by the Phelps Dodge Corporation from 1879 to 1975. In 1951 the manager of the Copper Queen Branch of Phelps Dodge, Harrison Lavender, determined that an open pit mine would be a more economical way to increase the ever decreasing copper yield. The Lavender Pit was exploited in 50-foot long shelves or benches blasted to a 60-foot depth. Every blast would break 75,000 tons of rock every afternoon. In 1975 the prices of copper dropped and even open pit mining was no longer economical, so the Lavender Pit was closed. Today, it is visited by hundreds of tourists, who can observe the giant 300-acre hole in the ground from a series of platforms built along the rim of the pit. The Belleza Fine Art Gallery is located on Old Bisbee’s Main Street and offers exhibition space to 26 artists from all over the world. Visitors can see a range of art forms, from William Spencer’s multidimensional artworks and David Berridge’s oil pastels to Moran Brown’s copper work, A. M. Stockhill’s fascinating mixed media work, and Tom Murray’s oils. The gallery has recently been restored to recreate the feel of Bisbee at the turn of the 20th century. 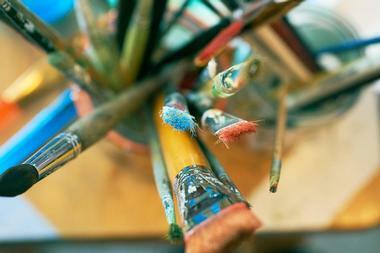 The gallery is associated with the Renaissance House, a nonprofit center for homeless women and their children. 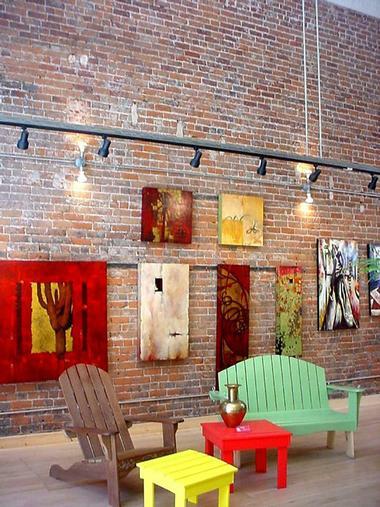 To help them, the gallery offers for sale their handmade superbly crafted Adirondack furniture. There is also a computer lab on the gallery premises on which they can learn computer skills. The Muheim Heritage House Museum is located in a former home of Joseph and Carmelita Muheim, which was completed in 1915. 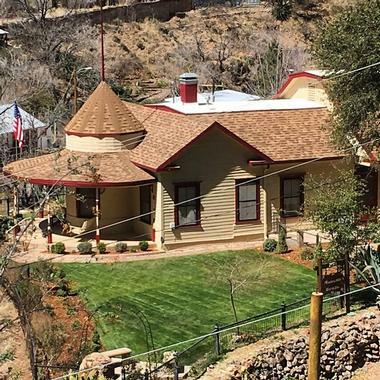 This lovely pioneer home sits on a hill overlooking Old Bisbee and offers a panoramic view of the surrounding mountains and homes on Brewery Gulch. The home is a fine example of late 19th century architecture and has been carefully restored to its original look and furnished with original period furniture. The house is a Registered National Historic site. Visitors are offered an informative narrated guided tour and the house is available for rent for special events such as weddings, celebrations, and other events. The Bisbee Restoration Museum is a free museum occupying the Fair Store building located on historic Bisbee's Main Street. The museum has three stories of galleries that hold a number of items portraying the early history of mining and ranching in Bisbee. The gallery is run by volunteers. 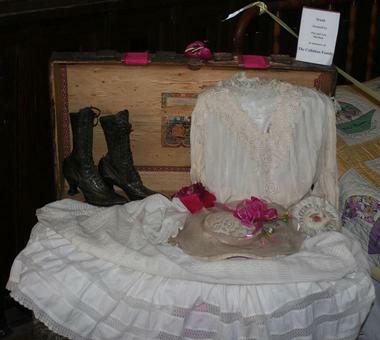 All historic artifacts have been donated by Bisbee residents, from a copper high school diploma to a large collection of textiles that includes exquisite quilts, lavish wedding dresses, and the equipment once used to make them. 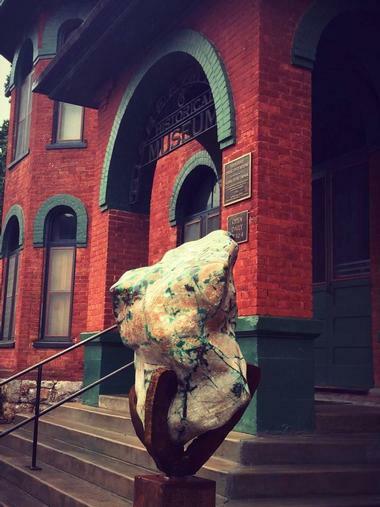 The museum is a wonderful place to get the feel of life in Bisbee during its mining heyday. There is a small gift shop on the main floor. 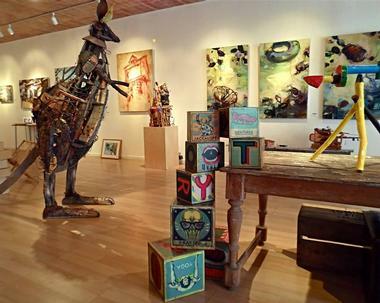 Located on the lively historic Main Street in the picturesque former mining town of Bisbee, the Sam Poe Gallery is a modern art space devoted exclusively to the artworks of husband and wife team Sam Woolcott and Poe Dismuke. The gallery was open in 2008. Poe's work includes kinetic sculptures and fascinating tabletop mechanical contraptions such as tipping ducks, disappearing mice, and yakking crows, all made from everyday materials. Sam’s drawings, paintings, and prints are near-abstract interpretations of Bisbee's architectural medley, such as fortified stone walls, hundred-year-old primitive miners' cabins, and steep staircases. They are lively and attractive and are clearly inspired by the town’s incredible spirit. Lowell, Arizona, was a small mining town that was incorporated into Bisbee in the early 1900s. Most of the town’s residential area was torn down to increase the space available for an open pit copper mine. After most of the city residents were gone, the town’s commercial district could not survive and many businesses closed, leaving a ghost town with only Erie Street, which today attracts tourists with its curiosities such as a Harley Davidson repair shop, a defunct gas pump, rusting cars, trucks, an old Greyhound bus, and a department store called Sprouse Reitz Co., with a few appliances and a pile of manikin parts. Erie Street is continually maintained and restored by Bisbee’s passionate residents, who want visitors to get the feel of a different America. There is even a working Bisbee Breakfast Club, famous for its excellent huevos rancheros. If you are looking for an antique piece in Bisbee or even just a souvenir, Finders Keepers Antiques & Collectibles is your destination. This large, curious shop is more than an antique store. Besides antiques, some of them rare and valuable, the store sells home furnishings, jewelry – real and costume – and gifts of all kinds. Besides a large selection of antiques big and small and vintage jewelry, visitors can also find Bisbee turquoise, local art, handcrafts, furnishings, locally mined minerals, supplies for beading and making jewelry, and Mexican and Native American handcrafts. There are also hand-crafted greeting cards and recycled gift wrap. If you see an antique piece you like, there is an ISA-accredited appraiser. 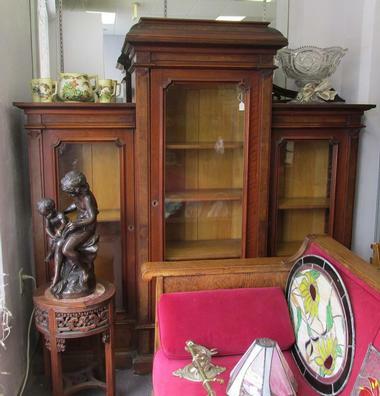 There is also a consignment service as well as auction listings. 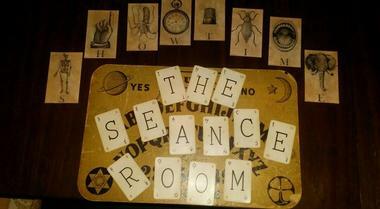 You do not have to believe in ghosts or paranormal events to enjoy the Bisbee Séance. This theatrical performance was created and is performed by Magic Kenny Bang Bang ( or Kenny Stewart) of Tucson, Arizona, in his Victorian parlor in a historic location in downtown Bisbee. Kenny blends Bisbee culture and past, “magical” sleights of hand, and audience participation to create a mix of Bisbee history and entertainment, sharing with audience stories of the most famous Bisbee ghosts, paranormal events, and haunted houses. This 1-hour performance/magic show is only mildly scary, so even the kids will enjoy it. The J. F. Gallery is located in the heart of Bisbee, Arizona, and features the works of a renowned artist John Thamm. John is well-known as portrait and landscape painter who likes to spend winters painting Bisbee and its historic character with its constantly changing angles and light. In his paintings of Bisbee, John incorporates the town’s unique architectural elements and provides art lovers and gallery visitors with paintings that easily capture the essence of the town and the surrounding desert. Thamm was born in Wendell, Idaho, grew up in Spokane, Washington, and received his art degrees from the University of Idaho. He studied portraiture with S. Edward Oppenheim in NYC and he owned a gallery in Greenwich Village, where he met his mentor and friend Jack Levine. John F. Thamm's works include portraits, landscapes, and social and political realism. Flying Leap is an award-winning winery located in Elgin, Arizona, with a lovely little tasting room in the heart of Bisbee. Surrounded by restaurants, art galleries, and quaint inns in Bisbee’s Old Town, Flying Leap’s tasting room offers some of the winery’s renowned reds and whites in a charming space on the first floor of Elk’s Lodge, one of Bisbee’s historic houses built in 1910. The tasting room is also an art gallery and a popular tourist spot for visitors who enjoy watching local artworks while sipping some of winery’s award-winning wines. 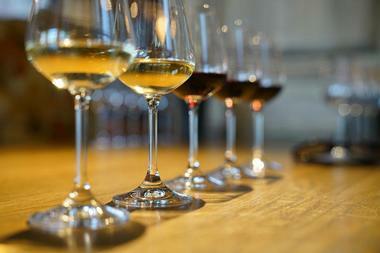 Flying Leap has three more tasting rooms and three fine art galleries all over Arizona. Bisbee Historic Ghost Walk is a tour of Bisbee’s famous haunted spots. The 130-year-old town has its share of scary stories and the tour host will share the stories about Bisbee’s famous ghosts while leading the brave group through Old Bisbee's dark, narrow alleys, stairways, and houses. The night time tour allows guests to see Bisbee not seen on ordinary tours and to learn about the city’s history and the famous characters that played an important role in it. Guests get to visit the known haunts of Julia, a Lady of the Evening who used to enjoy the company of married men, the haunts of the ghost of Nat the miner, who owed money to the bad Money Man and lost his life, and the spirit of the Lady in White, who saved the lives of three children. The tour is very informative and only moderately spooky and the kids will love it. It runs every Saturday at 5:30pm. 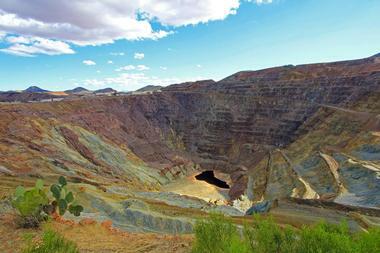 In its heyday, until it closed in 1975, Queen Mine in Bisbee, Arizona, was the world’s largest copper mine. It produced 2,871,786 ounces of gold, 77,162,986 ounces of silver, 8,032,352,000 pounds of copper, 304,627,600 pounds of lead, and 371,945,900 pounds of zinc. 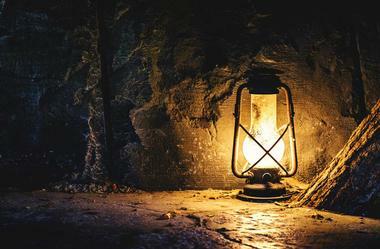 Today, visitors get a hard hat, a headlamp, and a yellow slicker and descend 1,500 feet into the bowels of the mountain through the former mine tunnels. The guides are knowledgeable retired employees of the Phelps Dodge company, which owned the mine. It is an amazing trip not only deep into the mine but also through the time, when mining was dangerous, backbreaking, and dramatic. 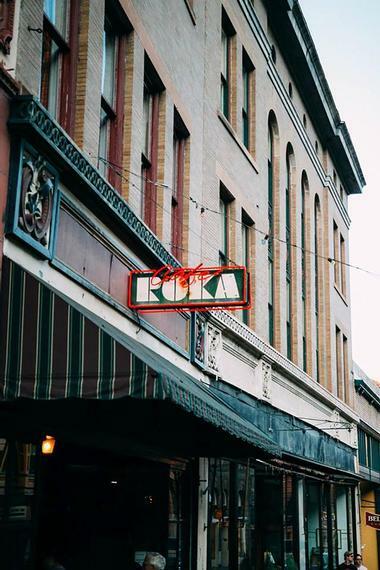 Café Roka is one of Bisbee’s most popular tourist hangouts, a classy cafe with elegant art deco decor located in one of Bisbee’s historic buildings on the lively, touristy Main Street. The café was opened in 1992 in the former Tavern Bar, keeping much of its quirky decor such as pressed tin ceilings. Set on two levels with a large wraparound bar and comfortable furniture, the café offers New American cuisine using fresh local ingredients and produce grown on nearby Patagonia Farm. Every entree comes with soup, salad, and lemon sorbet. There is live jazz once a week. Bisbee Breakfast Club is a popular, spacious diner located in Bisbee’s Lowel neighborhood in the historic Rexall Drug building. 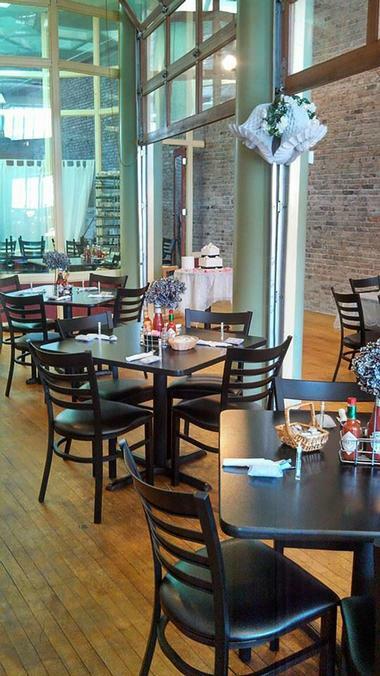 The Breakfast Club was opened in 2005 and as it grew, the restaurant expanded to the neighboring former glass shop, creating a quirky, interesting space with exposed brick and large expanses of glass. The club is famous for excellent homemade pies, delicious lunches, and a full range of breakfasts that are served all day. Check out what is hot from the griddle, there are such delights as filet and eggs and corned beef hash. The restaurant has sister stores in Tucson and Mesa. 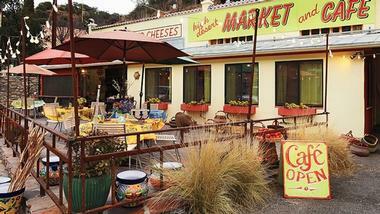 Snuggled on the hillside on Bisbee’s Tombstone Canyon Road in a small strip mall, High Desert Market and Café is a quirky eatery with various food stations and a great diversity of sandwiches, salads, quiches, pastries, cheeses, and so much more. You can eat inside or out in the pleasant outdoor space if the weather permits, or you can take your goodies with you. The market is a popular local gathering space where people are allowed to linger over their out-of-this-world cherry almond bread pudding or goat cheese salad. Artists sit with their sketchpads and everyone else enjoys people-watching. Explore the market before leaving, there is lot of fun stuff like local crafts, hand-made soaps, and some great wines. Located on the ground floor of the San Ramon Hotel in downtown Bisbee, Santiago’s is a popular, lively Mexican restaurant with a great atmosphere, authentic food, and excellent cocktails. The red brick building that hosts the hotel and restaurant was built in 1902 in the famous Brewery Gulch and has lot of stories to tell about its past as a grocery store, tortilla factory, barber shop, bath house, pharmacy, and who knows what else. 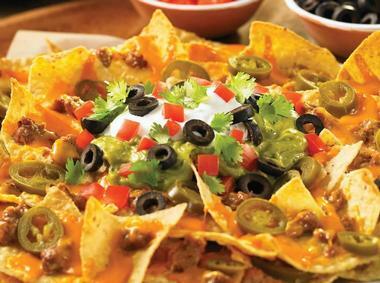 Santiago’s serves fabulous Mexican food, fresh, original, flavorful, and affordable. You will find the regular lineup of burritos, enchiladas, tacos, tamales, and chili rellenos, but there is one dish that you should not miss that they make particularly well: Molcajete. It is a traditional Oaxacan dish that consists of steak and sautéed jumbo shrimp over a chipotle chili stew with grilled red and green peppers, Oaxacan cheese, and organic quinoa. It goes fabulously with their exceptional margaritas.